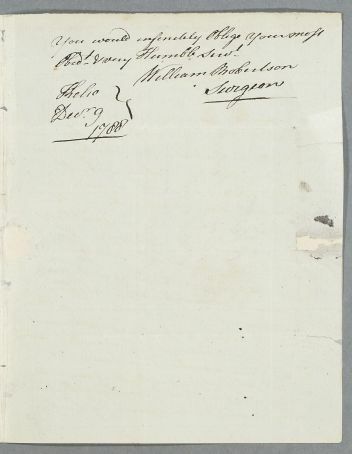 Letter from William Robertson (surgeon at the Kelso Dispensary), concerning Rev. and Mrs Deans of Crailing. While Mrs Deans is now improving, Rev. Deans, aged 63, is seriously ill with a stoppage of urine and constipation, and is delirious. 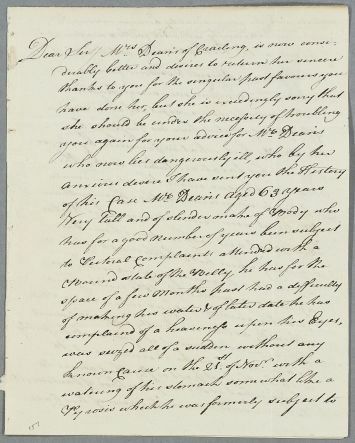 Summary Letter from William Robertson (surgeon at the Kelso Dispensary), concerning Rev. and Mrs Deans of Crailing. While Mrs Deans is now improving, Rev. Deans, aged 63, is seriously ill with a stoppage of urine and constipation, and is delirious. 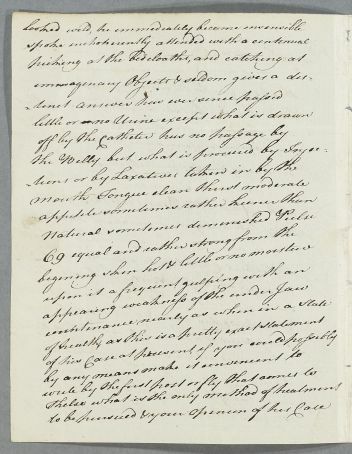 Case of Elizabeth, wife of Rev. Robert Deans of Crailing, who has a chronic sore throat from 1779, and later suffers respiratory ailments. 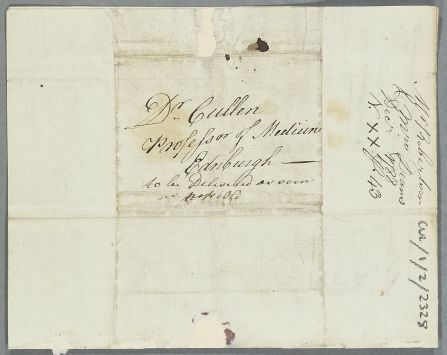 Case of the Reverend Mr Robert Deans of Crailing who displays very serious symptoms of delirium which presage his death on 13 December 1788, just two days after Cullen's reply. Obedt. & very Humble Sert.